Could Thomas Be a Top RB in Fantasy Football in 2009? When it comes to early-round fantasy picks, safe is usually the way to go. After all, messing up your first- or second-round selection could spell doom for your season. But if you’re the type of owner who likes to gamble on risky players with significant upside in the first couple rounds, there may not be a better choice this year than Saints RB Pierre Thomas. For anyone who wasn’t paying attention during the final two months of last season, Thomas has ascended to the level of “fantasy star.” With a whopping nine touchdowns (six rushing, three receiving) in his last six games of 2008, the “PT Cruiser” was responsible for many owners capturing fantasy titles. Now, entering the ’09 campaign as New Orleans’ co-No. 1 back alongside Reggie Bush, Thomas looks like a lock to get picked early in fantasy drafts. In fact, in a Yahoo! Sports mock draft in which I participated in May, he was taken in Round Two and was the 22nd pick overall. Believe it or not, the argument for Thomas being drafted this high is pretty strong. 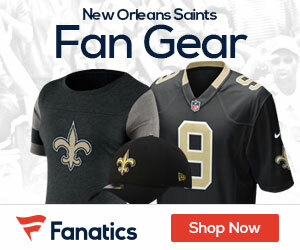 With the Saints parting ways with Deuce McAllister and not signing another back this offseason, they clearly are confident that Thomas can be their primary between-the-tackles and goal-line runner. And after the way he finished off ’08, they have reason to feel secure in his abilities.